The essence of tranquillity. If it’s not the leafy green landscape, it’s the two outdoor decks with panoramic views overlooking the Jindalee area. Set on a 610m2 block, this spacious three-bedroom property oozes opportunity with dual living options. This property uniquely offers a beautiful home ready for the family with multiple living areas through out. With timber floors throughout the top floor and a dual air-conditioning system, this warmly designed home has so much to offer its new owner. The downstairs space is currently used as a studio apartment and is equipped with a kitchenette and bathroom. The large tropical-style and serene back garden offers a quiet retreat from city life. The back yard is also fully fenced for the kids and pets. – Modern kitchen with electric cook top, oven and dishwasher. – Rear deck perfect for entertaining or relaxing while taking in the panoramic view. – Polished hardwood timber floors. – Light, bright living room and kitchen. – 3 bedrooms, Master with built-in robe. – Electric hot water system. 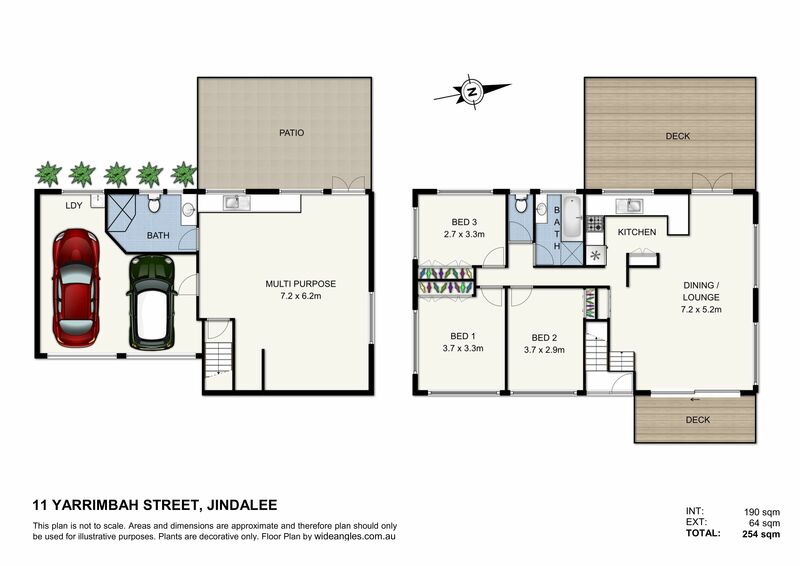 Located in the hub of Jindalee, this home is close to everything including: the Jindalee boat ramp, Jindalee golf course, Jindalee Primary School, Centenary High School, Jindalee Homemaker Centre, DFO, Piggy Back Café and close to public transport.